For an Illinois driver, receiving a Wisconsin drunk driving charge is a serious matter. It is not to be taken lightly. This is not an exaggeration. If you are convicted of a Wisconsin DUI you risk losing your Illinois driver’s license indefinitely. Penalties for Drunk Driving in Wisconsin can be severe for Wisconsinites but the consequences for an Illinois driver can be catastrophic. The typical license suspension for a Wisconsin resident charged with a first offense DUI ranges from 6-9 months. Illinois drivers that receive the same first offense DUI in Wisconsin potentially face license suspension ranging from 1 year to a lifetime ban. The severe difference in potential license suspension length is a result of the different legal systems. In Wisconsin, drunk driving convictions are a build-able offense meaning that there is little-to-no ability to plea bargain a DUI down to a Reckless Driving or other non-alcohol related offense. This means that it is quite common to see an DUI/OWI conviction on a record. The Illinois legal system is the exact opposite. The Illinois system allows for plea bargaining and reducing drunk driving charges down to reckless driving or other non-alcohol related offenses. Herein lies the problem. A first and potentially second Illinois drunk driving offense may be plead down resulting in no drunk driving convictions on an Illinois driver’s record. However if an Illinois driver receives a first offense drunk driving in Wisconsin, the Wisconsin Department of Transportation will report the drunk driving conviction to Illinois who could/will treat it as a third offense drunk driving. This occurs because the Illinois Department of Transportation will assume that the Illinois driver already had one or two DUI’s reduced to non-alcohol related offenses. What happens if an Illinois driver refuses a Wisconsin drunk driving blood or breath test? Interestingly enough, where Wisconsin penalizes refusals more severely than a DUI, Illinois penalizes refusals less severely than a DUI. Again, this is problematic for an Illinois driver. In Wisconsin it is typical to see a refusal dismissed as part of a plea bargain on a drunk driving charge. This is the exact opposite of what an Illinois driver needs to get their license back as soon as possible. Illinois will penalize a blood or breath test refusal with a license suspension of 9 months, exactly the same amount of suspension that Wisconsin will request for a first offense drunk driving. While it will most certainly cost more, hiring two attorneys, one in Wisconsin and one in Illinois, is recommended. First, you must hire an experienced Wisconsin DUI Defense attorney who understands the Wisconsin/Illinois implications to fight your drunk driving charge. Second, you should hire an Illinois attorney experienced with the Illinois Department of Administrative Hearings to fight your license suspension. If you find yourself in this unfortunate situation, you need the best possible representation on your side. 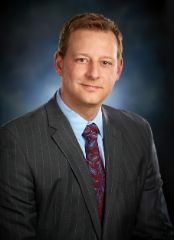 Wisconsin DUI Defense Attorney Nathan J. Dineen understands the Wisconsin judicial process and how it will affect your Illinois license. Attorney Dineen practices solely in DUI Defense and is certified in Standardized Field Sobriety Testing (SFST) and Drug Recognition Evaluation (DRE). Free Initial Consultations are available. Contact 1-877-384-6800 or fill out a DUI Case Review and someone will contact you immediately.